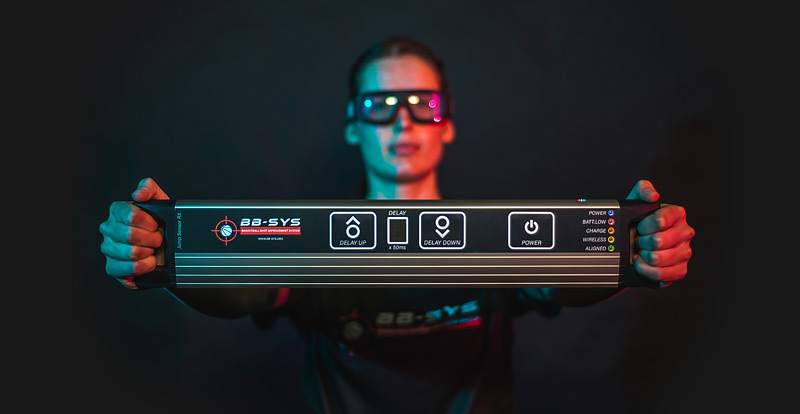 BB‑SYS utilizes scientifically proven and innovative Dutch design to improve shooting speed, accuracy, and perceptional focus for every athlete wanting to transform their game. BB‑SYS allows players to train under pressure and in game-like situations while concentrating on their shooting technique. Through the increased visual control training BB‑SYS provides, players can expect an average 10% improvement in shooting percentage. BB‑SYS is the future of the shooting game. In 2012, members of the Dutch national team tested BB‑SYS and achieved outstanding results. 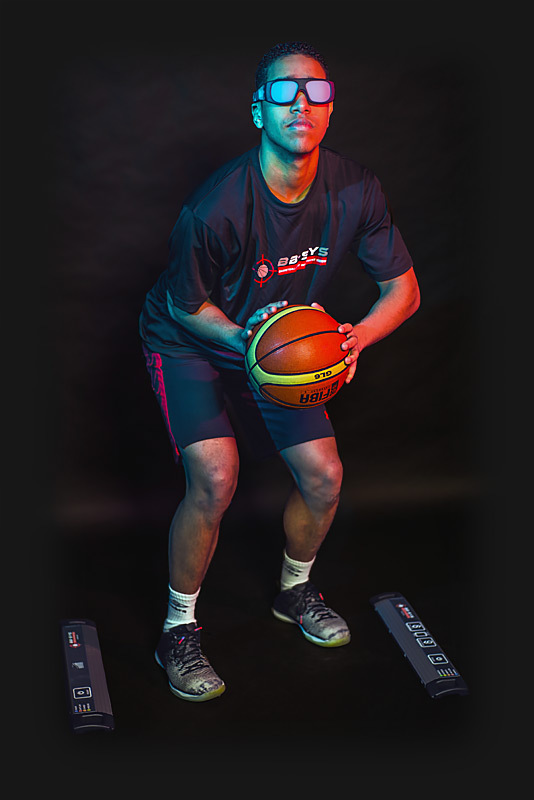 Players equipped with BB‑SYS received one to two 15-20 minute training sessions per week and experienced an average 8% shooting percentage improvement compared to the control groups who decreased in performance. 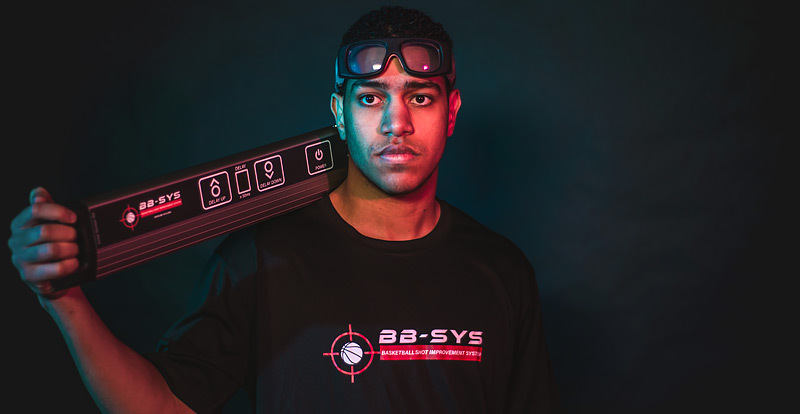 Through innovative Dutch design, BB‑SYS is scientifically proven to improve shooting percentage an average of 10%. The system allows the glasses to turn from an obstructed view to transparent view during the final moments (300-500 milliseconds) of shooting while maintaining luminescence and reducing visual confusion. Easy set up and usability make the system is appropriate for all shot techniques and skill levels and offer athletes and coaches two modes to improve their field goal percentage: jump sensor mode and coaching training mode. The player can close the glasses himself using the control unit, holding the basketball. The player makes one or two steps and lands to pull-up for the shot. During the landing the feet are detected by the jump sensor positioned on the floor. The sensor triggers the glasses to re-open again so that the player has clear view of the rim during the final moments of the shot. With the adjustable delay, the opening of the glasses can be fine-tuned to the precise shooting technique of the player. In this mode players can train by themselves without assistance of another person. The coach uses a remote control to close and open the glasses. This allows super flexible control over the glasses. Whether to let a new player get used to the glasses or to push an experienced player to his limits: it’s all possible. C.C. : NL 3419 5115 - BB-SYS is a tradename of Innovative Sports Technology B.V.
© 2019 BB-SYS All rights reserved.